My next featured runner is a fellow running club friend. Anne Marie is coming off a summer injury and is ready to get back into her normal training routine. 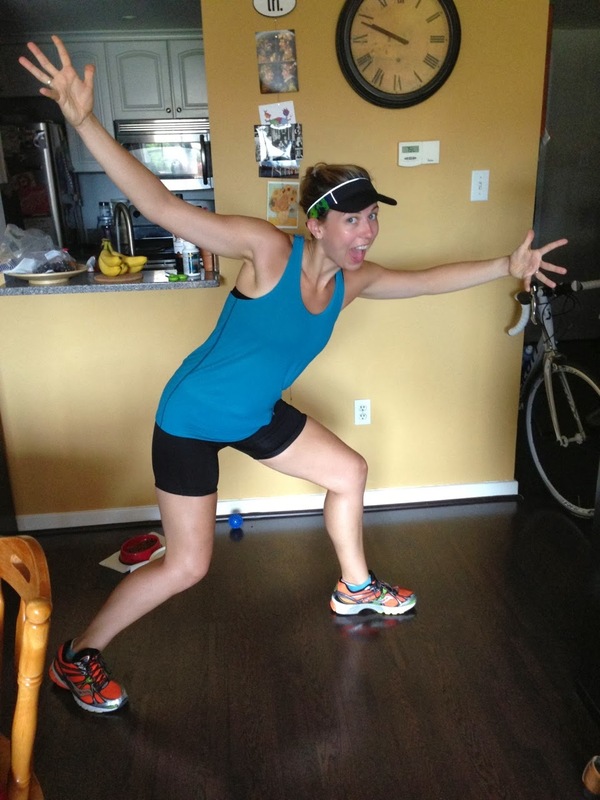 So ready, in fact, that she decided to undertake a huge endeavor, train for an Ironman! Anne Marie is fun and full of energy and I was excited when she took some time to answer a few questions for me. Runners, meet Anne Marie! Anne Marie: When I started college (Fall 2005), I could not run a mile and started jogging because I was petrified of gaining any additional weight (I was much heavier when this journey began). A hip flexor injury (never underestimate the power of stretching) kept me from running away with the running addiction. I jogged casually on and off over the years, and completed my first 5k in November of 2010. January 2011, I signed up and began training for my 1st half marathon. The running addiction truly took hold with my first 13.1 on Memorial Day weekend 2011. That summer I tackled a sprint triathlon. That fall I ran my second half marathon and started law school. Few things can balance the mental intensity of the first year of law school, and signing up for my first marathon seemed like the natural progression of my running career. I trained with the DC Road Runners and successfully ran my heart out at the Rock n Roll Marathon, Washington DC March 2012. Since then, I have taken a minute per mile off my marathon pace, completed 4 marathons, one of which I trained for with my better half (who proposed the day after our first 20 miler together), and shaved a full 7 minutes off my 5k time. Running is the first time I ever felt physically strong and I love it. 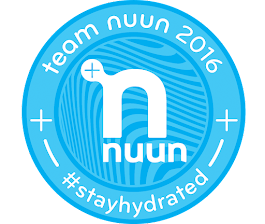 You recently signed up for an Ironman (awesome sauce! )...where/when is it? Why did you decide to sign up for such a huge undertaking? AM: On June 29th, 2014 (my mom’s 60th birthday!) I will attempt the 140.6 journey in Coeur D’Alene, Idaho. I did my first sprint triathlon the weekend before law school orientation (my first gap year after college before law school I lived in France and rode my bike everywhere, including the local pool where I swam laps 3x/week... a triathlon was the product of fortuitous circumstances) and my dream was to complete an Ironman at the end of law school. 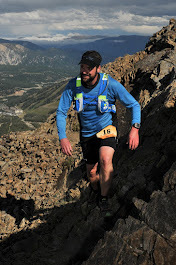 After falling in love with running, and making some of the most amazing friendships imaginable on the trails, I tabled my iron-dreams and focused on getting fast. This was a great plan… until I overdid it and wound up in the doctor’s office with excruciating pain five days before my wedding. Fortunately, my favorite people from all over the world surrounded me and I was marrying my best friend, so I was definitely able to keep the running injury in perspective. I was cleared to swim and bike to my heart’s desire. And… well… it was really fun! Don’t get me wrong, I missed running, but the wind whipping on my face while biking was exhilarating, and I love how swimming makes me feel stretched out and tired all over. During a Friday yoga class, I was hit with this complete clarity of “I WANT TO DO AN IRONMAN.” I walked home, proclaimed my desire, and my better half asked that I prepare a powerpoint, taking into consideration all of the training/time/finances/physical challenges. After an epic powerpoint, he came home with flowers and full endorsement of the 140.6, Idaho, here we come! Ironman aside, what are your current running goals? Do you have a weirdest/funniest running moment you'd like to share? Where is your favorite place to run in DC? AM: My all time favorite is DC Road Runners’ Tuesday Night Run Bridge to Bridge – starting at Iwo Jima, crossing Memorial Bridge, touching base with Lincoln/WWII/Washington (depending on desired distance), heading down the waterfront towards Georgetown, and back across Key Bridge. AM: My mom. She is the strongest most courageous person I have ever met, and will likely spend her 60th birthday cheering in Idaho! AM: Dumbledore - "And now Harry, let us step out into the night and pursue that flighty temptress, adventure." If you could only give one piece of running advice to someone new to running, what would it be? AM: It gets better, keep going! AM: Waterman’s Sprint Triathlon – Sunday, October 13th, followed by a metric century bike ride (100k) on Saturday, October 19th.